A sunburst of color! 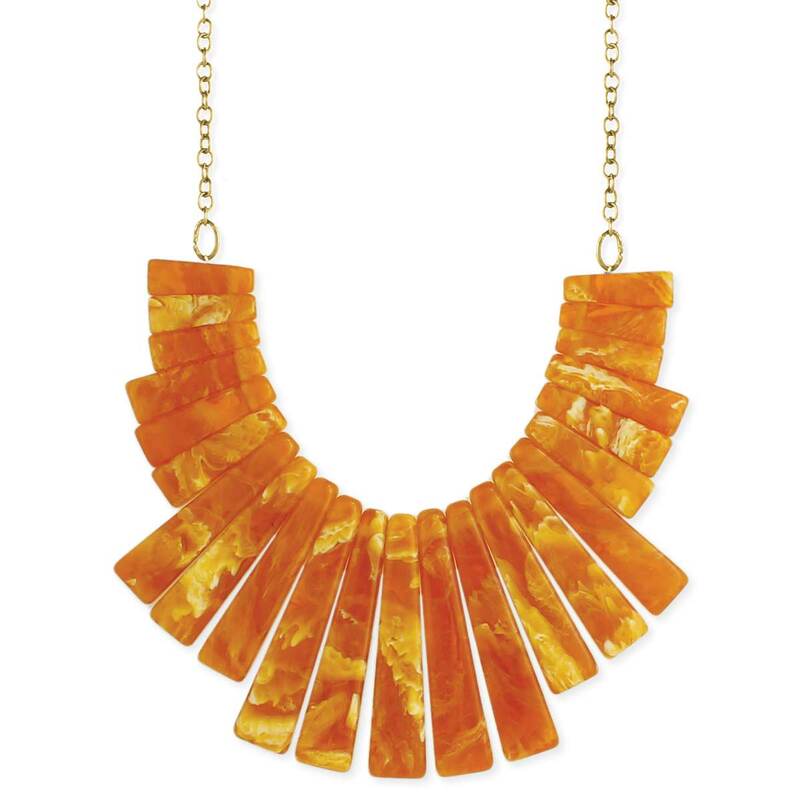 Gold link chain holds a fan of bursting rays orange marbled bars. 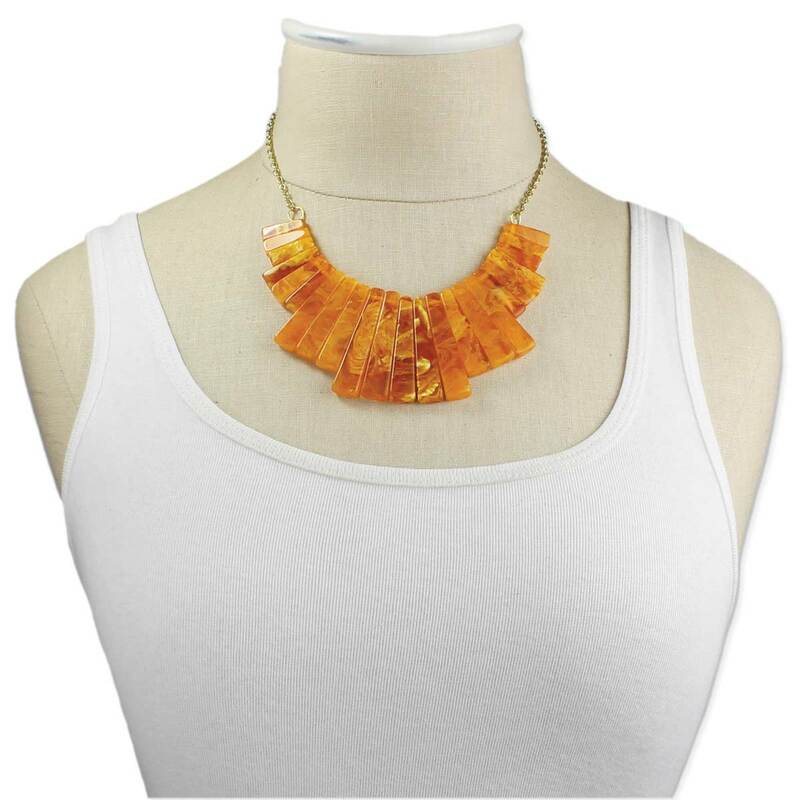 Light and dark orange color swirls in the resin bars and will catch all eyes as it lays on your neck. This unique bib necklace is the ideal accent for a plain outfit.